What is big data and what does it have to do with you? Have you watched videos online today? Did you post photographs on social media? Did you upload your English essay to Google docs? All of these questions are questions about data. Data is information. 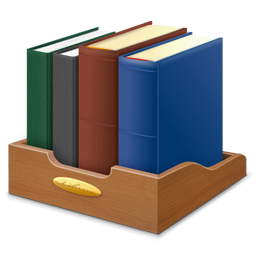 It can be stored in books, magazines, on graph paper, in computers, and with many other methods. Most of the data that exists today is stored in computers, and the amount of data humans produce is doubling every year and half. That’s why it’s called big data! 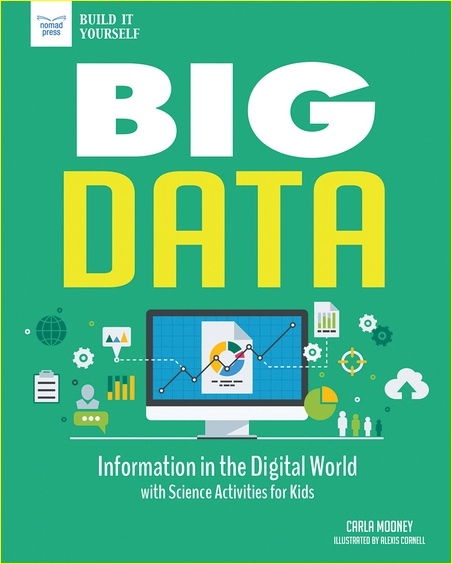 In Big Data: Information in the Digital World with Science Activities for Kids, kids ages 10 to 15 explore the definition of data and learn about the relationship between data, computers, and people. They learn about the history of data, the transition from paper to computers, and the role that search engines such as Google play in handling data. Data management, data analytics, and the history of computers are all topics covered in this book on big numbers for kids. Data is something computer scientists think about a lot. A computer’s capacity to function and perform is directly related to how much data it can store. A computer that can’t store much data won’t be very popular. As more and more of our daily lives become connected to computers-schoolwork, watching movies on a laptop, paying for snacks with a debit card-computers are required to handle more and more data. New improvements in data storage mean that there are fewer limits on the amount of data businesses can store, but what does that mean for users? How does data management make our lives easier? Do we need all of this information or are we storing data we’ll never use again simply because we can? Throughout Big Data, STEAM investigations and experiments provide hands-on, problem-solving opportunities for students that incorporate various challenges and tools. Using readily available household items and recycled materials, each activity will take the reader through an inquiry-based, open-ended investigation that leaves plenty of room to explore individual creativity. With essential questions, fun facts, and links to online primary sources and videos, kids will mine the topic of big data and become better, more informed digital citizens of the world!